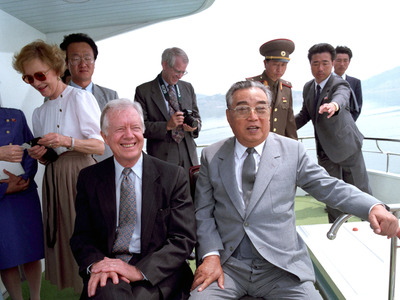 Korean Central News AgencyFormer US President Jimmy Carter makes a go of diplomacy with Kim Il Sung in June 1994, just weeks before Kim’s death. Since the Clinton years, the US has considered military action and imposed strict sanctions against North Korea in an effort to curb its nuclear program — but none if it has worked due to fundamental misunderstandings about the shadowy Kim regime. US and UN sanctions on North Korea have sought to cripple the regime through restricting access to commerce and banking, but despite limited successes here and there, North Korea now regularly demonstrates a variety of potent and expensive nuclear arms in open defiance of the international community at large. “The pace of North Korean testing, particularly on the ballistic missile front has really accelerated over the past year,” Kelsey Davenport, nonproliferation director at the Arms Control Association told Business Insider. Not only has North Korea tested a greater number, but also a greater range of missile types meant to diversify its arsenal and defeat US and allied missile defences. For some small Asian countries, they simply don’t have the means to enforce sanctions on North Korea, like searching cargo on ships headed to North Korea or tracking dual use technologies, which have both civilian and military applications. This results in a North Korean state that has covertly become a large supplier of military goods to small nations in the region that can’t afford Chinese military goods, or can’t get access to US or European arms, which are tightly regulated. A recent joint report from Arms Control Wonk and Reuters detailed how North Korea uses a network of falsified addresses and names to simply confuse countries into doing business with them. North Korean businessmen may take the same name as South Korean businessmen, or they may list their addresses as being in the “Korean Republic” or “PY city,” (Pyongyang) according to the report. According to Baker, some countries may just not want to enforce sanctions from North Korea, especially China, which “turns intentional a blind eye,” and “views the collapse of North Korea as a much greater risk than nuclearization,” as a strong, unified and Western-leaning Korea could threaten China’s aim to become the regional hegemony. But sanctions are only one, imperfect tool for fighting North Korea’s nuclear ambitions. According to Baker, a much deeper misunderstanding has brought about the US’s sustained failure to contain North Korea. 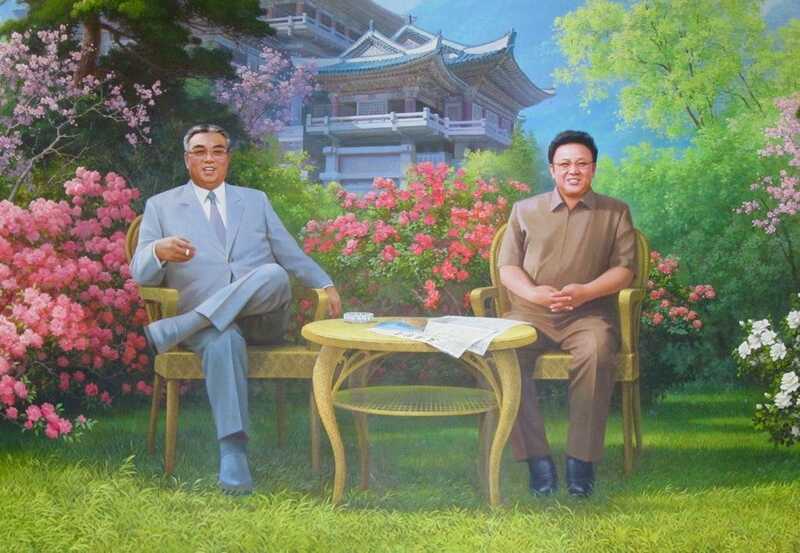 FlickrChongchon Hotel lobby mural in Hyangsan Town, DPRK, depicts Kim Il Sung and Kim Jong Il, the former leaders of North Korea. Essentially, Baker says that the US made a huge mistake in thinking North Korea was just like any Easter European state that fell to Communism, and that the government wasn’t that respected and the people wanted representation and freedom. Sanctions work best when a country wants to participate in the worldwide economy, but North Koreans have been kept insulated from these desires. “This idea that if we can only keep flying South Korean TV show DVDs and pop songs into North Korea that they’re all going to rise up because they want to have what their neighbours have overestimates the draw of material goods over nationalism and national identity,” said Baker. Additionally, North Koreans have seen steady improvement in their country over time. The famine is over, money is pouring in from countries who can’t or won’t comply with sanctions. 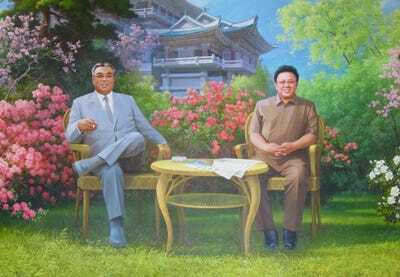 North Koreans have TVs, radios, and media to enjoy that paints the West as evil and the Kim regime as their saviour. Whereas the West has underestimated the Kim regime’s internal strength, North Korea has accurately read the West’s political will to hit them with anything tougher than sanctions. Meanwhile, the focus of North Korea’s nuclear program has shifted from a bargaining chip — something they could trade away for concessions from the international community — to an insurance policy. As North Korea picks up the pace of its nuclear and ballistic missile testing, the US’s window for action against the Kim regime will quickly and firmly shut. “North Korea has made such progress now that the US feels that it does not have time anymore,” Omar Lamrani, a senior military analyst at Stratfor told Business Insider earlier this month. He added that an ICBM in the hands of Kim would mean the US could no longer credibly threaten North Korea with nuclear force, representing a “point of no return” in multilateral relations.